In order to qualify as a stop on The B-Line, restaurants must maintain a collection of at least fifty different types of bourbon, and bourbon bars must offer at least one hundred different kinds of “America’s Native Spirit.” But one of our stops boasts a collection of bourbon that’s world-famous in part because it’s the largest selection of bourbon in the world. 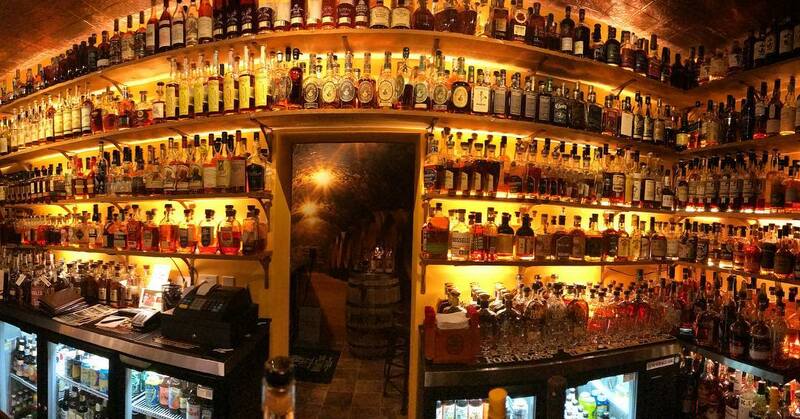 The Prohibition Bourbon Bar at Newberry Bros. Coffee offers more than 1500 kinds of bourbon and rye whiskeys, and they’re still adding to that magnificent number! Located in Newport, KY, just a few blocks away from Newport on the Levee, and just ten minutes from downtown Cincinnati, Prohibition Bourbon Bar at Newberry Bros. Coffee is nestled in a charming, historic building at the corner of 6th St. and Washington Ave. Redolent with both the aroma of roasted coffee and warm, Southern hospitality, you will feel at home as soon as you enter the door. 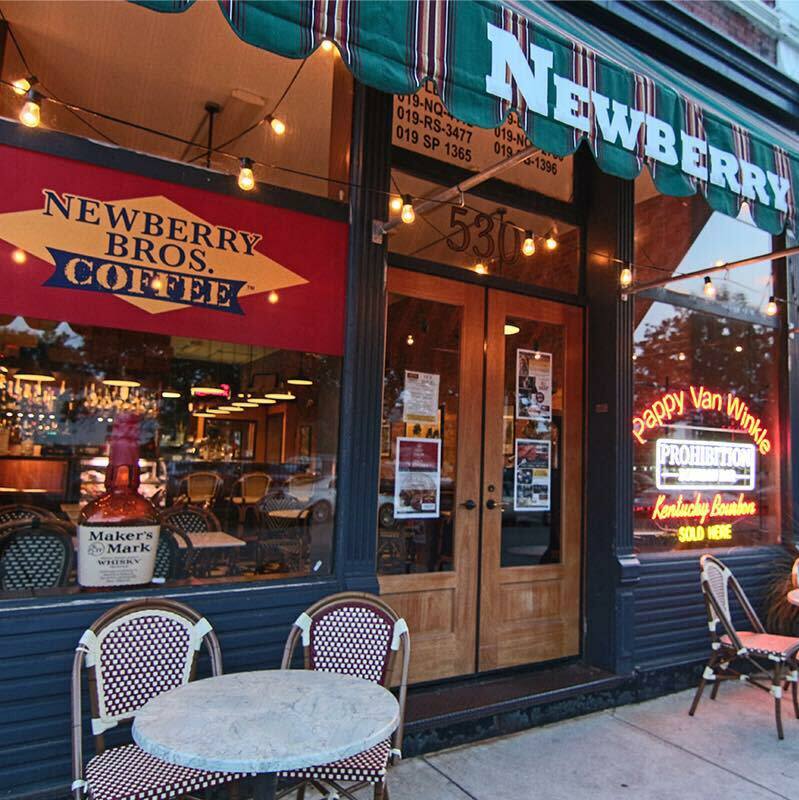 Newberry Bros. Coffee is the point of entry and at first you might wonder where the Prohibition Bourbon Bar is. Like the speakeasies it’s inspired by, it’s tucked around the corner. But once you step around that corner…. 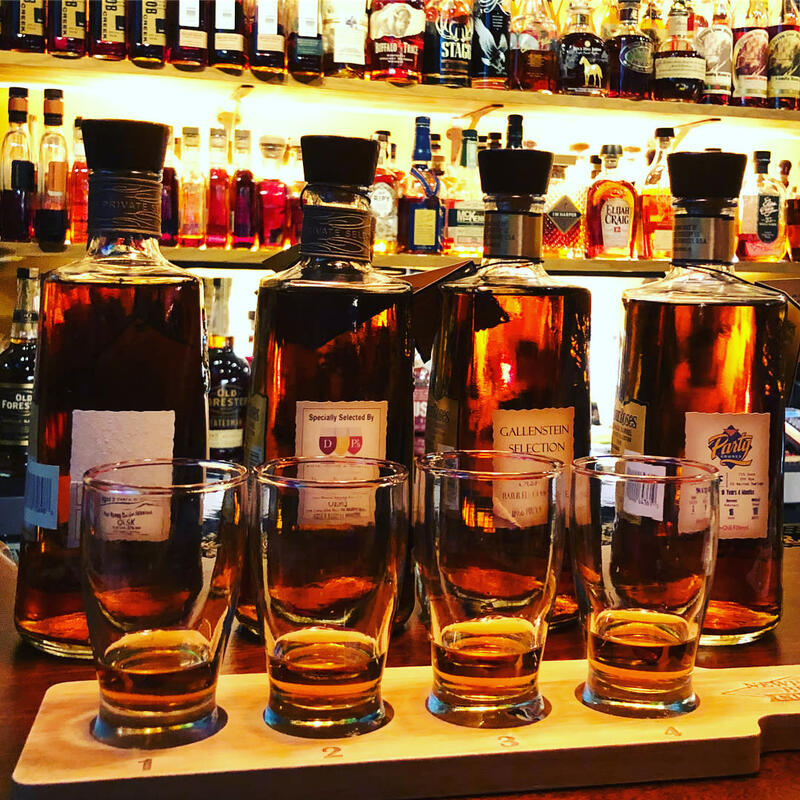 In addition to their jaw-dropping collection of bourbons, owners Kim and Peter Newberry host amazing bourbon events at Prohibition Bourbon Bar. To name just a couple of upcoming standouts—a Wild Turkey tasting with special guest Jimmy Russel, and a Pappy Van Winkle tasting with special guests Julian Van Winkle and Sally Van Winkle Campbell. So, if you like bourbon, love bourbon, are bourbon-obsessed or are just beginning to “find your sipping point”, you owe it to yourself to check in at B-Line stop Newberry Bros. Coffee & Prohibition Bourbon Bar. 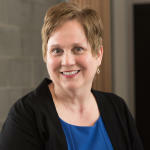 Dot Crane is the Content Marketing overlord for meetNKY. She's a proud resident of Covington, KY and loves helping others #lovethecov. You can often find her sampling local craft brews at Braxton Brewery or capturing the perfect image throughout the Cincinnati region to showcase our blend of Southern Charm and big city excitement.